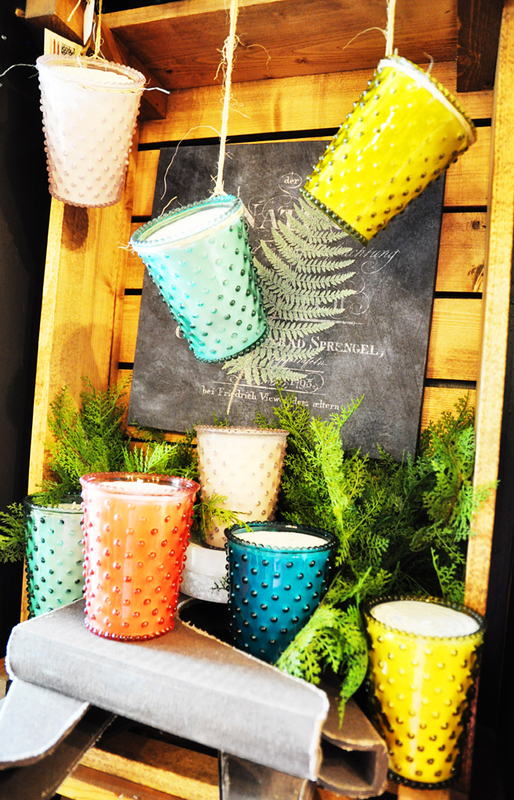 These beautiful and bright candles will fill your home with the aroma of Summer! Simple gifts that anyone would love...we are wrapping them up beautifully as we speak for Mother's Day gifts. Fill your home with a fresh, inviting, and clean scent for the new season! Spanish Lime: Fragranced with an effervescent blend of lime and other citrus notes create a bright bubbly scent. Fir & Grapefruit: Fragranced with a rich, sweet blend of bright grapefruit and cooling balsam. Beach Plum: A combination of airy plum blossoms, tart yet sweet fruitiness and warm, comforting vanilla creates layers of depth in this delightful, beachy scent. Watermelon Basil: Perfectly balanced basil, melon and cucumber notes blend to create this summery scent. Marine: A fragrance reminiscent of fresh air and water, with layers of herbaceous flowers and morning mist. My favorite thing to do with the hobnail glass container after it has filled my home with wonderful goodness? 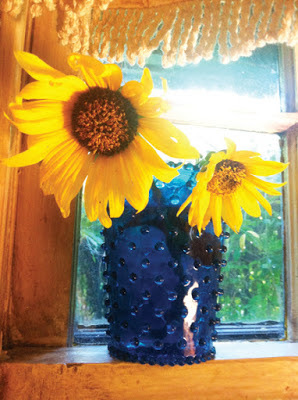 Sit it on my kitchen window and place sunflowers in it that my little girl has picked...lovely!